Accounting and finance management are two such activities that are involved in any and every business irrespective of their scale, type or location. Proper finance administration and accounting are crucial for the smooth functioning of business as well as for making desired profits. The demand for quality accounting and finance management services is increasing day by day in the UK, for the country is witnessing a large number of small businesses and start-ups coming up at present and in near future too. 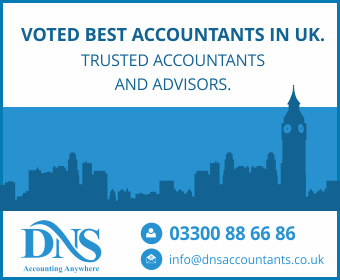 DNS Accountants is an active player in the UK since last many years and is renowned for its world-class accounting and financial management services. We have served more than 1200 firms till date with our highly efficient services in the fields of accounts and finance. We, at DNS Accountants, ensure that all your finances and accounts are up to date and comply with the rules and regulations provided by HMRC. Our amazing team ensures that all your accounts and finances are in an organized form as desired by you. We have exceptionally talented accountants in Wirral who are capable of managing all the accounting, finance and taxation related matters of small businesses and organizations. Most of our accountants are graduates from most renowned universities present throughout the UK, and many of them also hold additional certifications and accreditations from esteemed accounting bodies like IPSE, ACCA, and CIMA. Since our inception, we have served a large number of businesses and organizations and have gained the name and fame that we enjoy today. Being an old name in this sector, we now have lots of strategic connections and contacts to get your work done easily and quickly. Ensuring maximum benefits for our clients and managed accounts and finances is what we strive for. We offer various services to our clients, like tax management, year-end accounts management, payroll RTI and much more, so as to ensure clean and clear accounts for them. Wirral, being a peninsula in North England, is surrounded by various rivers and other water bodies. Wirral is amongst the most developed parts of UK and houses various industries related to the television industry, sports industry and much more to count. This city not only owns a large number of small and large industries but also offers great scope for establishing start-ups and small businesses. As far as the number of industries and businesses in Wirral is considered, this city offers a lot of employment opportunities to people in its different sectors of the economy. The entire population of this town is involved in one or the other job in various organizations present here. The old establishments along with the newly established start-ups and small businesses raise high demands for proper accounting and finance management services in Wirral. This city has got the great potential for accounting and finance management services. The various firms and start-ups in this city are really in need of quality accountancy firms in Wirral, so as to maximize their profits and to properly manage their accounting and finance departments. Services provided by DNS Accountants are what the businesses of this city need. We offer all kinds of services possible while managing the accounts and finances of an organization. We are one of the best accountancy firms in Wirral and ensure the best services for our clients. DNS Accountants is probably one of the very few firms in the UK with a team of highly skilled accountants in Wirral. Our accountants not only possess degrees from renowned universities but are also the proud owners of various certifications in the accounting field. All of them are highly dedicated towards our every single client and the services we provide to them. Most of our accountants in Wirral also possess considerable experience in this field. DNS Accountants is also best when it comes to the services provided by contractor accountants in Wirral. We have some of the most talented and qualified accountants in the entire city of Wirral. All our contractor accountants remain up to date and ensure the desired services to our clients. At DNS Accountants, we also have several trainee accountants. We arrange for the best possible training of our trainee accountants in Wirral. We train our future accountants based on latest techniques and strategies of accounting world and allow them to work on real-world scenarios so as to give them a practical edge. We invest a lot in our trainee accountants for they are our future and will be representing us soon. We offer various accounting apprenticeships in Wirral so as to ensure all round accountants who are capable of dealing with all kinds of problems and situations in accounting world. Our accountants are highly talented, and our strategic apprenticeships are one of the reasons behind the same. Auto Enrolment refers to a legal obligation of firms in the UK under which they need to provide a Qualifying Workplace Pension Scheme (QWPS/WPS) to all their eligible employees. The employees’ pensions involve contributions from employers’ side, and this contribution is calculated using guidelines mentioned in the law. So, businesses are required to calculate their contribution towards employees’ pension correctly. DNS Accountants is a perfect place to receive Auto Enrolment services in the UK. We ensure accurate calculations that comply with the rules and regulations provided by the UK government and HMRC. Business Growth is an important aspect of any business and all businesses throughout the country strive hard for their growth. DNS Accountants offers a wide variety of services in order to ensure desired business growth for its clients. With our strategic services, you can achieve certain business growth each year. There are a lot of legal formalities and other stuff that you must abide by while forming a company. Company Formation is a critical task and requires you to consider a lot of legal factors in mind. Being in the UK markets for so long now, DNS Accountants is well aware of all kinds of formalities and legal requirements that you need to fulfill while forming a company. Our services ensure easy, smooth and quick business formation. DNS Accountants has some of the best Wirral accountants who are experienced enough to resolve all kinds of issues that may be faced by a business related to its accounts or finance departments. We offer the best accountant jobs in Wirral and ensure full career growth for all our accountants. It is not only Wirral that has got a great scope for accountants are related services in the UK. The UK has got many more cities, like Liverpool, Warrington, Chester, Stoke-on-Trent, Birkenhead, Heswall, Bromborough which possess great scope and opportunities for talented accountants and their services. There is a high demand for accountants in Chester too for this place also houses a large number of small businesses and organizations. DNS Accountants strives hard to ensure best possible services to its clients. We aim at assuring maximum benefits to our clients and impart them with well managed and organized accounts and finances.